The ancient Greek city of Pergamon sits along the coastline of Turkey and once dominated the entire region. The buildings and monuments of Pergamon were constructed of white marble in the Hellenistic style. 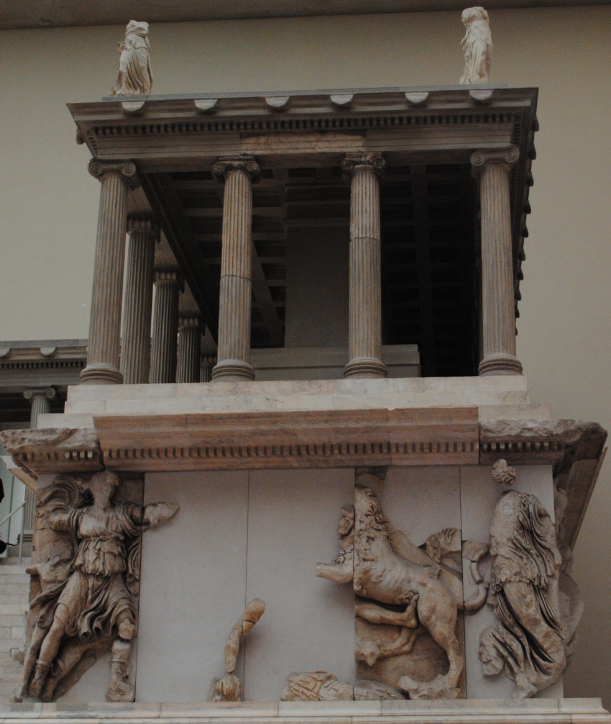 The Pergamon Altar was built during the 2nd century BCE and is associated with the temple that was dedicated to the Greek god Zeus. The altar was excavated by the German archaeologist and architect Carl Humann during the 19th century. 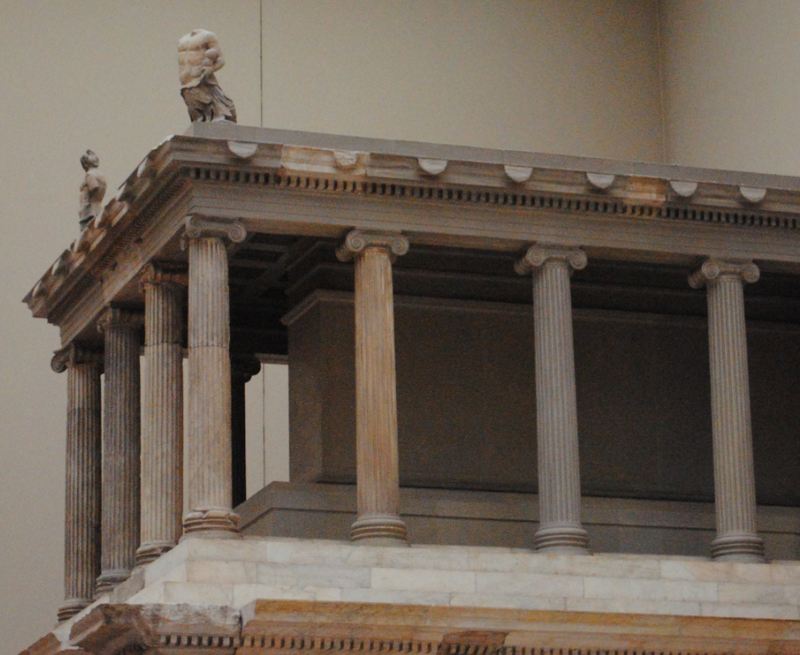 The altar was rebuilt stone by stone in Berlin with the Pergamon Museum opening in 1930 displaying the Pergamon Altar as its centrepiece. 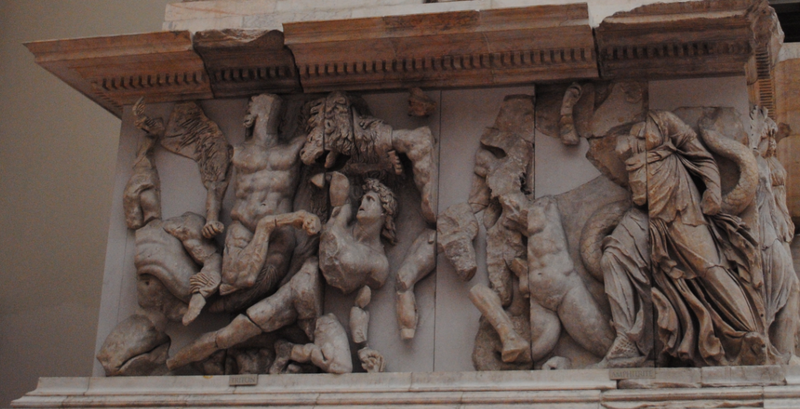 The altar has a huge sculptural frieze which depicts the Gigantomachy which in Greek mythology was a battle between the gods and giants. 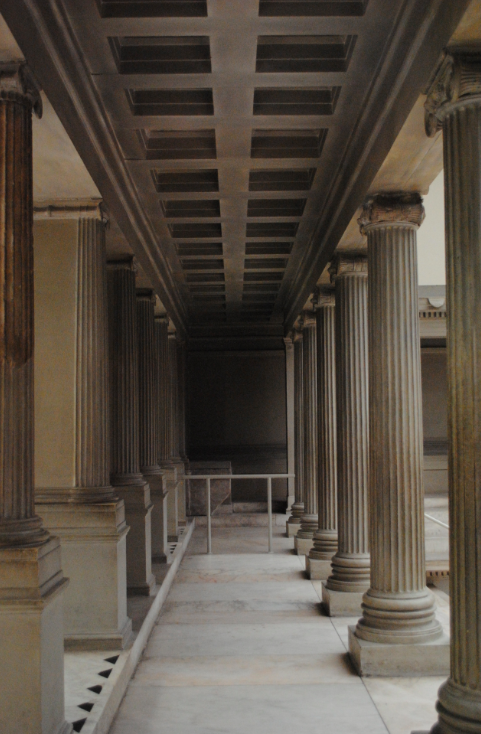 Ionic columns support the roof of the altar.